New York City‘s LaGuardia Airport is surrounded by water, a notorious jail, and some of North America’s most compelling ethnic enclaves. Moving counterclockwise, the airport is surrounded by the East River (which flows into Flushing Bay), Rikers Island Jail, a wastewater treatment plant, and then the fun part: Astoria, Jackson Heights, Willets Point, and Flushing. Astoria is home to diverse pockets of Mediterranean culture, while Jackson Heights is the equivalent of all (or at least 3/4 of) of Latin America squeezed it into an area less than two square miles. Flushing is New York’s Mandarin Chinatown and also hosts the less-famous New York Major Leauge Baseball team, the Mets. 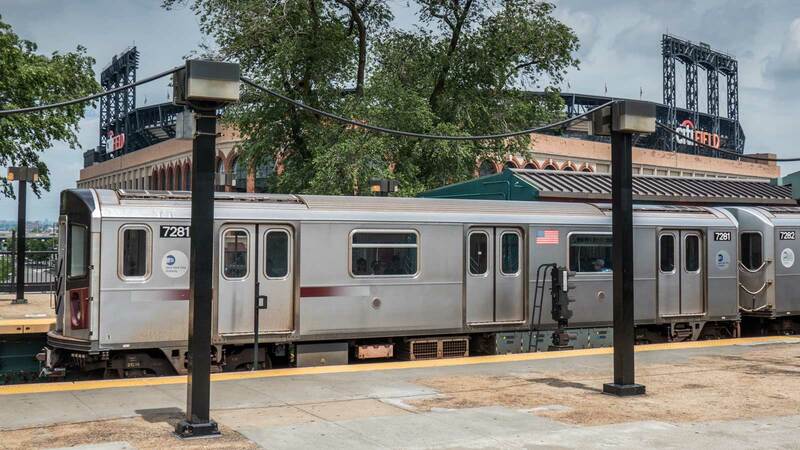 These captivating sections of New York City’s most diverse borough are just a short distance from LaGuardia Airport along the Grand Central Parkway (or parking lot if you happen to hit it at the wrong time). There are more Latin American restaurants along 37th Avenue and under the 7 train (along Roosevelt Avenue) than you can try in a single year. You don’t even have to go into a sit-down restaurant. Dozens of street vendors are set up under the 7 train hawking everything from fresh fruit and smoothies to hot dogs and tacos. You may want to skip the easier to find fares and instead sample the flavors of Ecuador, Uruguay or Venezuela. There are two Uruguayan restaurants on 37th Avenue, where you can eat as much meat as Anthony Bourdain did in Season Four of No Reservations. If you prefer public, transit, take the Q70 bus to the 7 train. Citi Field, home of the New York Mets, is just two miles southeast of LaGuardia Airport. If your layover is at least five hours and the “other New York baseball team” is home, you can enjoy a game in person, rather than on a small screen over annoying airport announcements. Public transit is also an option. You can either hop on the Q48 MTA bus or Uber it. If you have time after the game, take the 7 train one stop to Flushing-Main St for some of the best Chinese food in New York City. If you’re in a hurry or just want a light snack, check out the food court at the New World Mall. In the film, Goodfellas, Henry (played by Ray Liotta) and Tommy (played by Joe Pesci) steal a tractor-trailer from the Airline Diner (Jackson Hole) parking lot. You can see the Jackson Hole diner from the Grand Central Parkway. Hours are from 7-midnight (2 AM on weekends) daily. Although they are famous for their 7-ounce burgers, they also serve breakfast, as well as Tex-Mex. The inside looks the same as in the film. 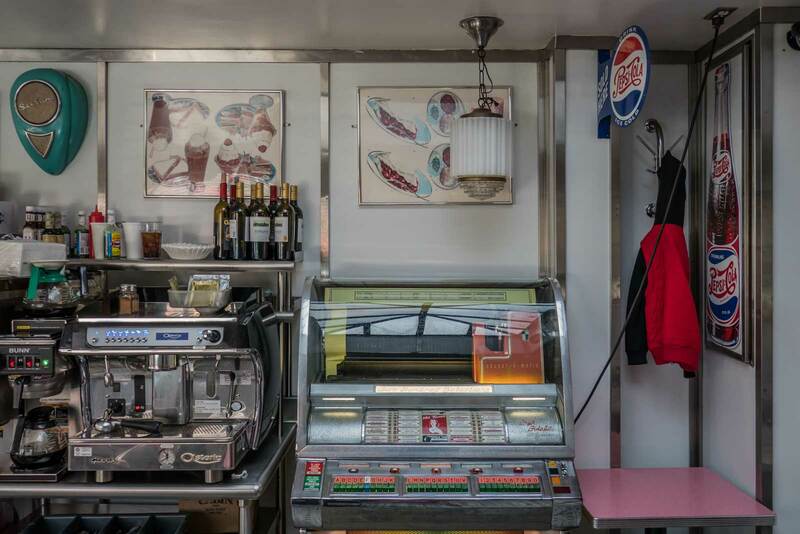 Each booth has a 1960s-style jukebox. There are pictures of the Goodfellas cast throughout the restaurant, but the overall feel is pure 1950s Americana. In the entrance area, there’s a Coke machine that has been out of order since 1957, as well as pictures commemorating Bill Clinton’s visit to the famous diner. Astoria may be most well-known for its large Greek population, but a pocket of Egyptian restaurants has recently popped up along Steinway Street between 31st Ave and Astoria Blvd. Some are more accommodating to non-Egyptians than others. For example, at Mombar, you can eat lamb parts that you’ve only seen Andrew Zimmern eat before. Their printed menu is pretty basic, but the specials often include lamb’s brain, cheek, testicles, and tongue. You are likely to be served by the same man (Moustafa) doing the cooking. Mombar gives new definition to the term slow food, so allow at least two to three hours once you’re seated. If your layover happens to be between six in the evening and midnight on a Saturday, and you’re up for some food and live entertainment, head to the Queens International Night Market. On any given Saturday night, there can be up to 100 different vendors selling arts and crafts, and ethnic food which showcases the diversity of NYC’s most international borough. As well as more common cuisines, you can get a taste of Bolivian, Burmese or Chilean street food at the night market, which is located between the New York Hall of Science and Grand Central Parkway. This is a great post. There are so many great things to do here in NYC that a post like this is so helpful to those on a layover flight! This post helps travelers make the most of a layover. I like that you included restaurants that are highly rated because it’s almost inevitable that I’ll get hungry while in the airport. It’s almost inevitable that I’ll get hungry while in the airport, so your list is right on target. Also, I love that this lists helps travelers make the most of a layover so they feel more productive. I wouldn’t have even thought of these ideas. I love the food scene in NYC, so diverse. These ideas will come handy to any traveler. Such a great post. These ideas seem so fruitful for travelers making layover productive. This is a good post. This will definitely benefit those travelers who want to make their layover productive and fun at the same time. My city! This post does it justice. I used to live near Jackson Heights and I totally agree on the Latin American flavors. If I was to do any one of those things, I would have to do the Mets game. I love baseball and it would be such a lot of fun catching a game while I was there. You are certainly not stuck for things to do whilst waiting for a connecting flight. My first thing I would do is go and see the Mets. I love baseball but never seen a game. It seems that you really made use of your time wisely! If ever I will go there, I’ll definitely visit the museum.